Here’s the November, 2012 issue of Downbeat Magazine – Jazz, Blues & Beyond. 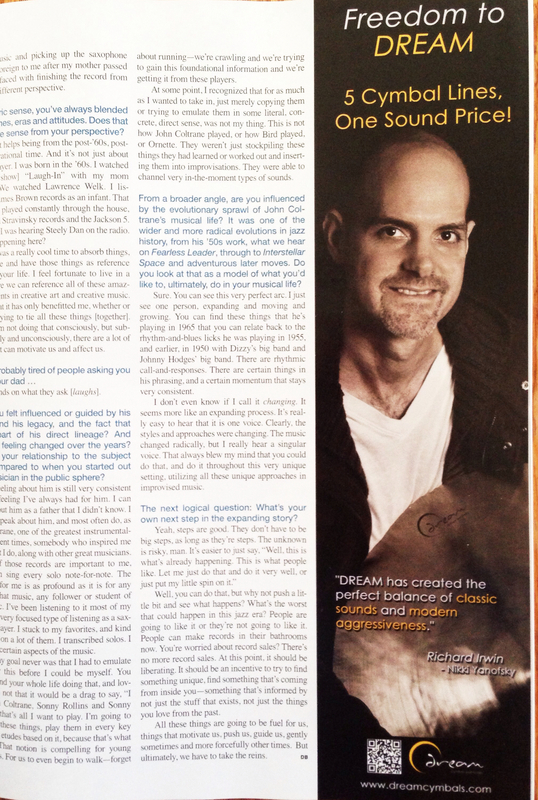 This is an example of one of the magazine ads that Dream Cymbals published with Richard Irwin as their endorsee. This is a huge boost for anyone’s career. This photo-shoot of Richard was taken by Neil Emberg, who is now a published photographer because of this ad. Thank you Rich!